Well done to all of the children in the choir for another great concert at Blackburn Cathedral. Thanks to all of our friends and families who came to support us. Our African drumming club got off to a great start this week. Here we are going through the basics with the drums. Thanks to Abbey from the Lancashire Music Service and to Mr Mayers from school. The club runs for the next 3 Mondays and will lead to a performance in December. Choir starts again this year on Wednesday 31st of October 2018 after school until 4.15pm. Our date for the Blackburn Cathedral lunchtime concert is Monday 3rd of December at 1pm. Here we are on our final practice before the big performance tomorrow. We're ready! Infant and junior music clubs have started again on Tuesdays for the junior and Wednesdays for the infants. We've already started to learn new songs and new dances. We've played musical games and we've all started to learn the recorder!!! Look out for the Infant Music Club Christmas Performance on our Twitter page!! Thanks to all of the choir members for a super term's worth of singing and performing. Here we are having our Choir Christmas Party to celebrate!! What a lovely start to our Christmas celebrations we had as our junior choir performed at Blackburn Cathedral. Many thanks to everyone for all their hard work and to all the friends and families who came to support us. Our Infant Music Club will perform in school on Wednesday 14th December. News just in....we have been asked to perform along side other local schools at Shuttleworth High School on Thursday 15th of December. Tickets are free and available from our school office. Show starts at 6pm. 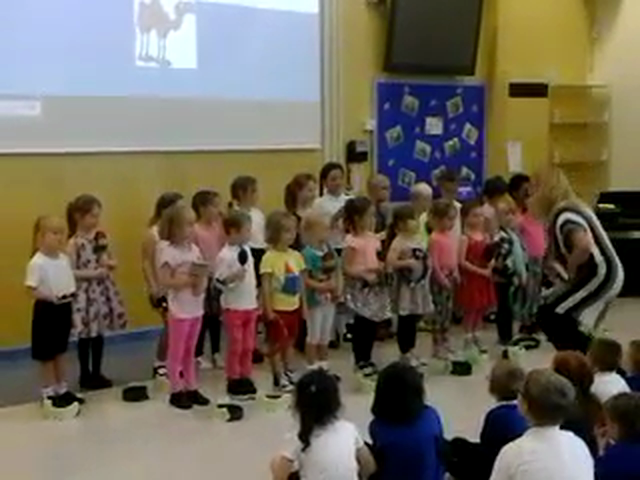 Here's the infant music groups first performance.. Look out for our other performance on Twitter!